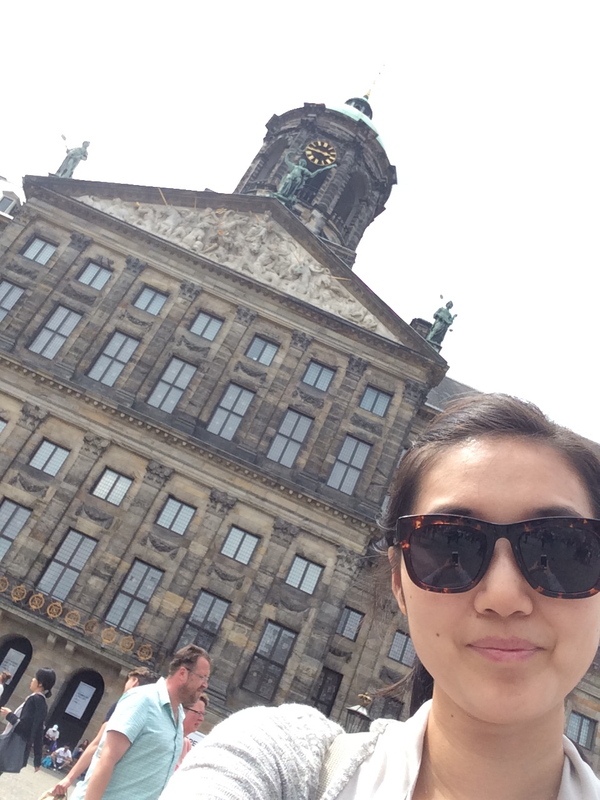 On my way back to Singapore from NY, I had a 9 hour layover in Amsterdam, which I decided to use to explore the city. 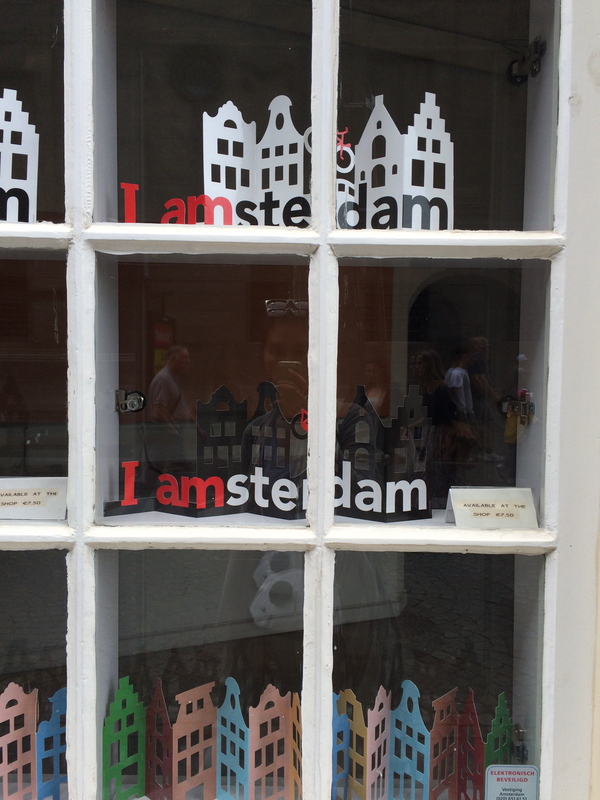 Since I visited Amsterdam about a year and half ago, I didn’t really do much research or planning before. I was ready to wing it. Taking the train into Amsterdam Central station was quick and easy. The train station is right below the Schiphol Airport. After buying my roundtrip ticket, I managed to find the right platform. Thankful for wifi, a window seat, and scenic views, I arrived in Central station about15 minutes later. I walked towards the center of town being careful of not getting run over by trams, cyclists, and cars. I decided to do what I do best. Go shopping. No matter how tired and hungry I am, I always manage to find enough energy to shop! So despite feeling extremely exhausted from lack of sleep during my red eye flight from NY, I knew shopping would perk me up. I did some window shopping inside the department store, de Bijenkorf. 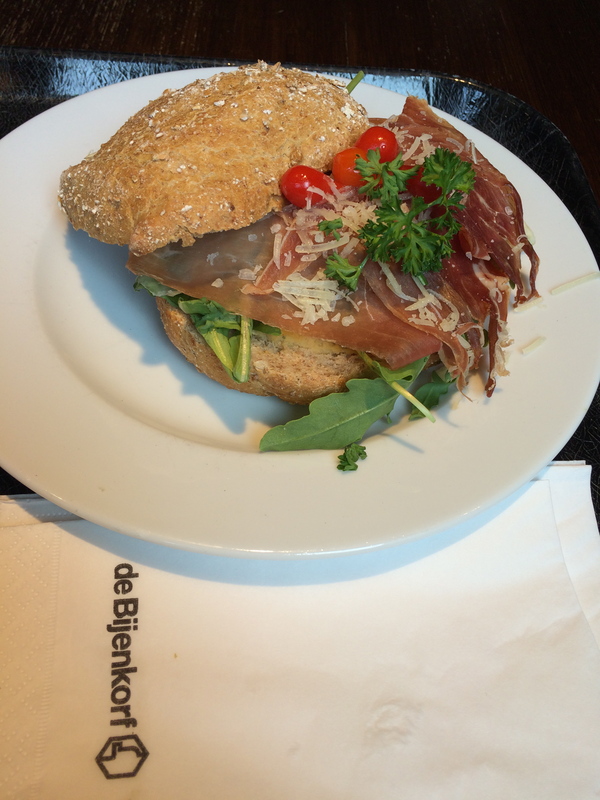 Window shopping at de Bijenkorf! Then, eat at the food court on the top floor. Not only is there free wifi, but an amazing selection of food, including steak, sandwiches, fries, salad bar, soups, frozen yogurt bar, fresh juices and smoothies, and more. Buy souvenirs like tulip flower pens and postcards in the many stores lining the streets so that you have proof that you visited. 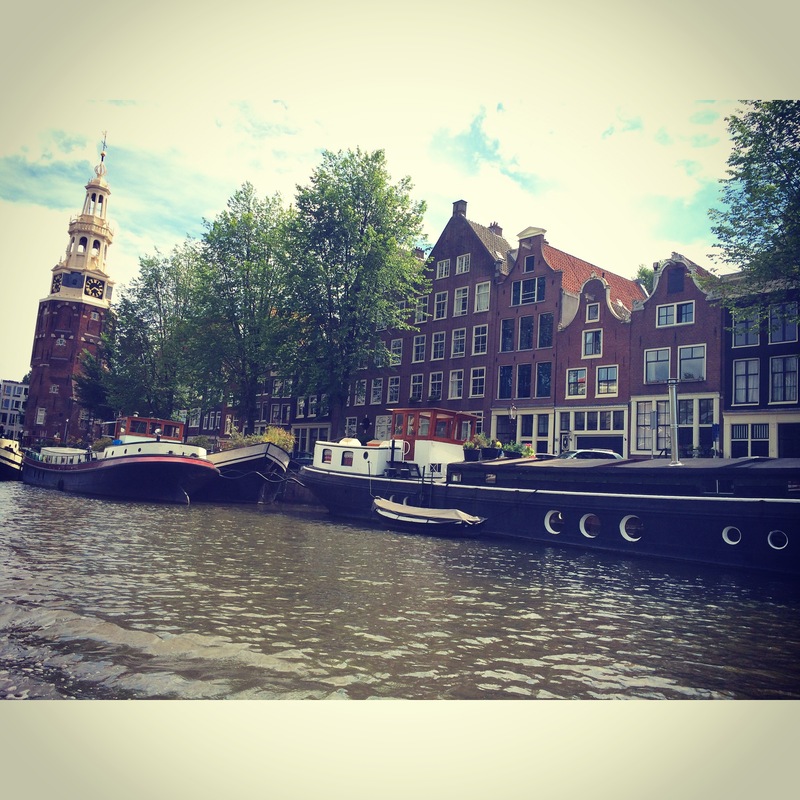 Go on an hour canal tour and see the beautiful sites of the city. Try not to fall asleep, like I did. Visit albert heijn supermarket and buy stroop wafels and chocolate! There is an albert heijn also in the airport! Take photos of the beautiful historic buildings and canals. 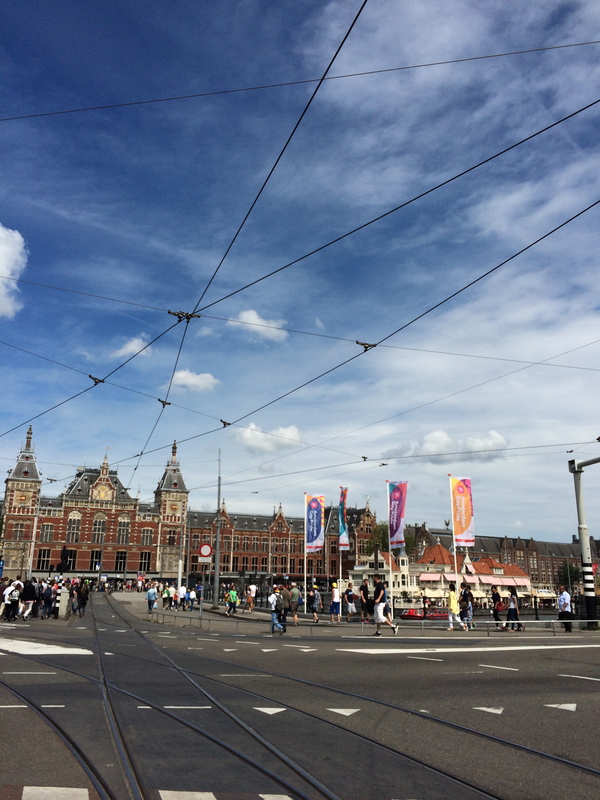 Take the #2 or #5 tram from Central station to the Rijks museum and take a photo by the I Amsterdam sign. I would have totally done this if I wasn’t feeling so exhausted. I ended up coming back to the airport early because I just was too tired to keep exploring! In the end, 9 hours ended up being more than enough time to explore Amsterdam. 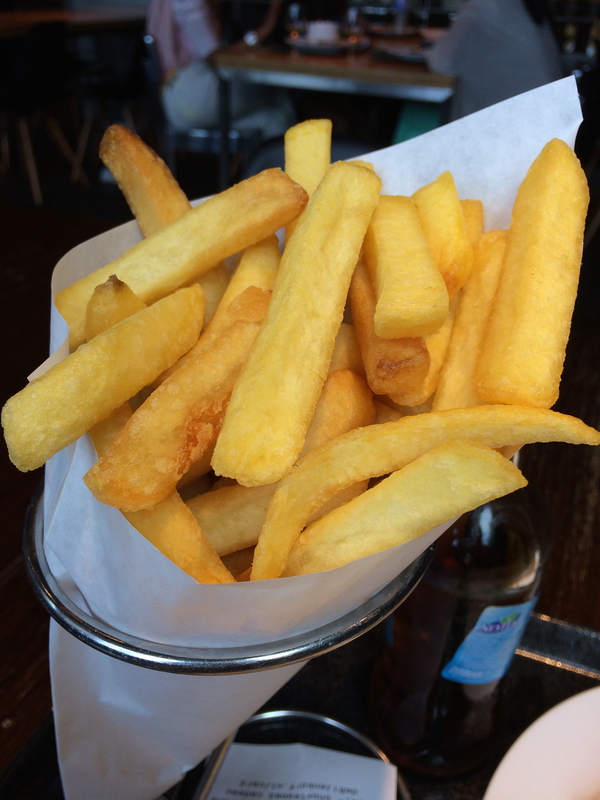 Here are some photos from my iphone 5s. These are gorgeous photos! 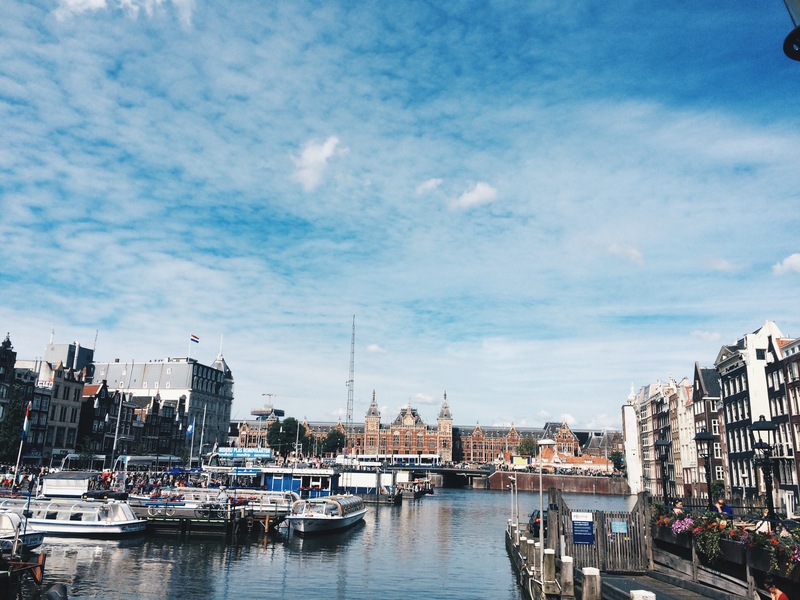 I’ve been wanting to visit Amsterdam, and it doesn’t look like you need all that much time in the city to make the most of it. Love what I’ve seen of your blog, look forward to following.